Play music videos and karaoke songs just as easily as “normal” audio songs. In case you do not have enough videos, UltraMixer's visualization feature in HD quality with 14 effects, always provides you with a suitable screen. Fire up your images to a flat screen or projector and wow your audience. UltraMixer unifies many apps in one software: In addition to videos, karaoke player, a video sampler and live visualization you can start a photo slideshow with an easy click, display a beautiful background, logo or image (e.g. a menu or flyer), make an announcement using the live text feature (e.g. “The buffet is open.”) or show a party game or live audience using a projector. Even a the broadcasting of TV events no problem due to the integration of network cameras! UltraMixers well known and highly precise audio engine provides crystal clear and pristine sound. The stability of audio playback is ensured even if the system is under high load. 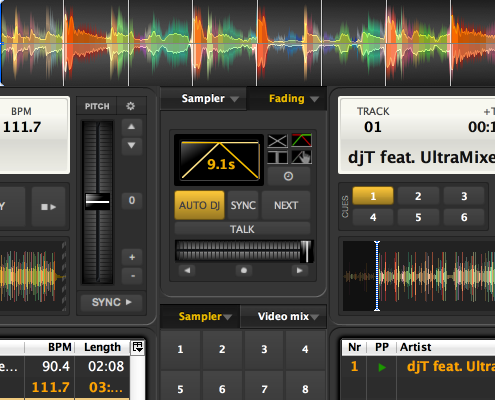 The new “4-Deck Mode” allows you to mix or prepare up to 4 tracks. 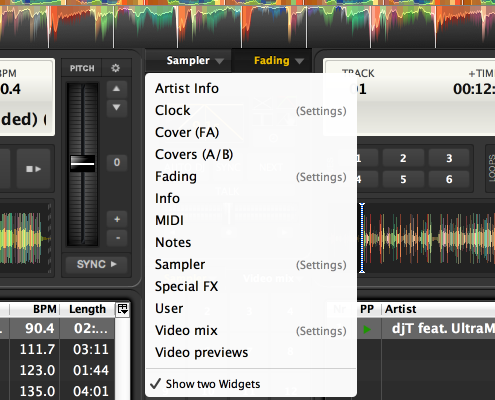 Thanks to the integrated auto-sync functionality you can mix your tracks mit one simple click perfectly. In this you are supported by over 8 integrated real-time effects, the singular 31 band equalizer, 6 hot cue buttons, smart synchronous looping as well as the integrated 16 channel sample player. There are different blending curves (K,T,X) to chose from as well as the possibility to create your own blends for a perfect mix. UltraMixer supports your mix with the built-in loudness normalization for equalized volume. Your audience will appreciate it. 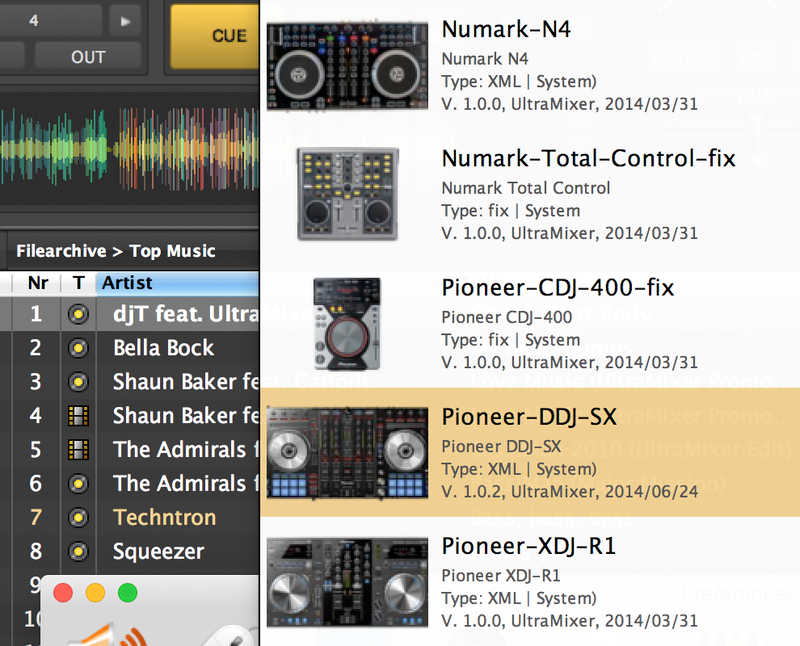 UltraMixer can be controlled by mouse & keyboard or all common MIDI-DJ controllers. 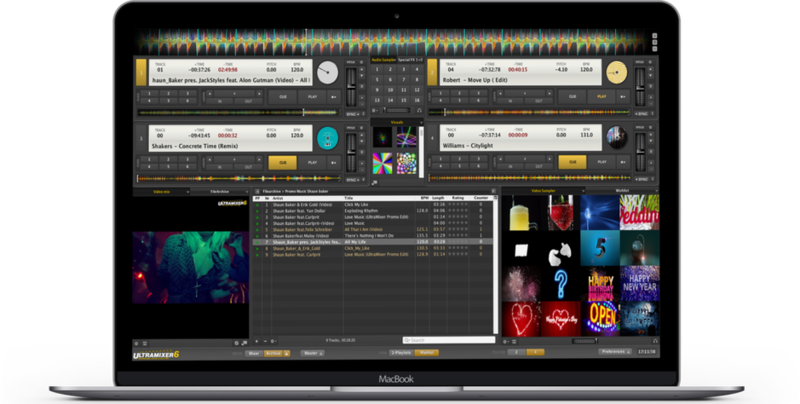 More than 80 DJ controller mappings are directly included in UltraMixer – plug in and play. New MIDI controller are constantly added and provided via free software updates. The integrated MIDI mapper makes it possible to create your own MIDI mappings and change predefined mappings. All common brands like Pioneer, Denon, Reloop, Numark, American DJ, Hercules, Behringer, M-Audio or Vestax are supported. UltraMixer provides a modern and well thought out user interface which was designed with an intentionally spartan look, without any bells and whistles. Thanks to the numerous integrated widgets you can easily adjust UltraMixer to your personal needs. You can even adjust the font size and font family via a simple mouse click. Different skins and color schemes provide variety and individuality. The intelligent colored waveform visualizes music through the use of different colors. Therefore you see at a glance, where the beats and silent parts are. Red parts are beats and bases, green show planes and vocals, blue parts show treble. Those sketches help you to understand the music even without head phones. 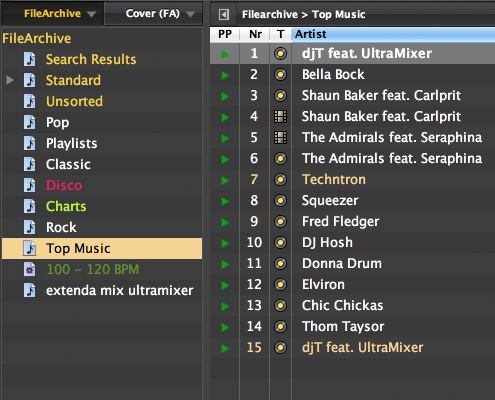 UltraMixer has one of the most powerful music archives on the market. The technology base is a real data base, where you can quickly manage even more than hundred thousands music files. Thanks to the integrated quick search finding suitable music is just a matter of seconds. Create virtual groups, playlists and wishlists, mark them by assigning colors and sort them to fit your preference. With the help of “intelligent groups” you can create automated playlists, with music titles selected automatically according to special criteria (e.g. 100 – 120 BPM). Edit meta data (ID3-tags) of selected files or even entire groups and automatically add the covers for your MP3s. An import of iTunes or BPM-Studio archives into UltraMixer is possible with a single mouse click. A break (bathroom, dinner) during the event? No problem with the “UltraMixer Remote App”. 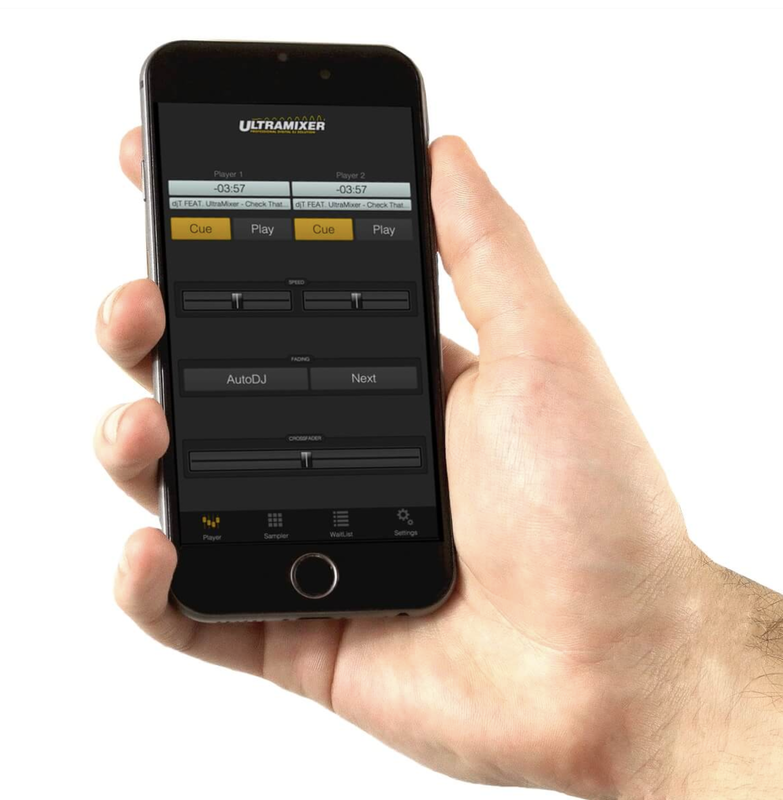 Available in the AppStore it allows you to remotely control your UltraMixer. You can control the player, volume, create transitions, fire samples and move without bounds (WLAN support) across the stage or the room. The App shows comfortably whether the music is still playing or if there is enough music in the waitlist or and how much time you have left to return at the latest :). Just concentrate on your audience instead of your notebook.